Alex Ebert calls event ‘a one-off experiment in reaching for a more colorful, soulful, way to tour’. 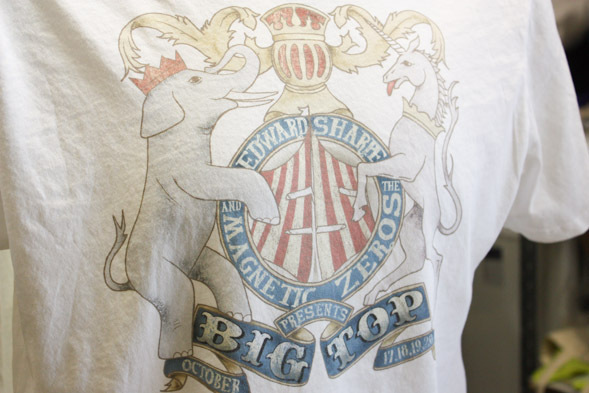 We’ve printed merch for a lot of bands, but none quite like Edward Sharpe and the Magnetic Zeros. They’re hosting Big Top, a four day event – currently in day 3 – at LA State Historic Park in downtown Los Angeles. The event hosts a ton of fun activities, carnival rides, games and local food vendors as well as live music. Inside the big top the band performs on a rotating circular stage along with traditional circus acts and performances. The event is free, but costs to get in the big top. 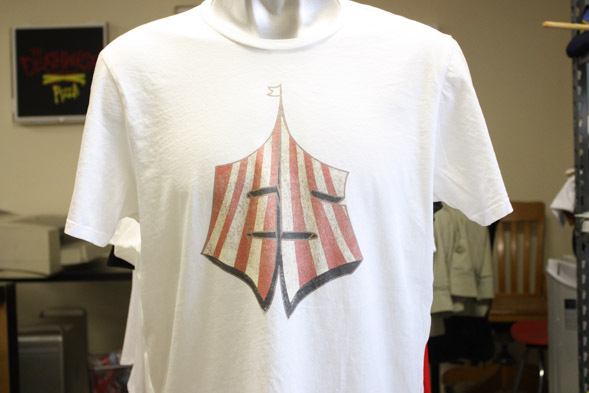 Definitely a memorable experience for everybody and we printed some really cool merch for the event as well, like the shirt below. 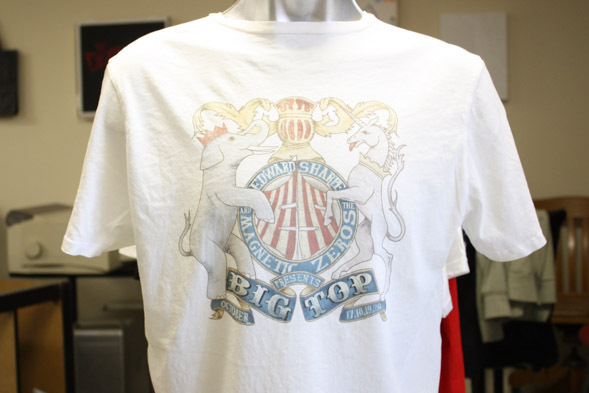 We printed these tees digitally to achieve as high quality of a print as possible. The design has a weathered feel and texture and we didn’t want it to get lost in halftone dots and the result is amazing.